Discover Australia’s cities and towns, unique iconic destinations and unforgettable experiences. The choices in Australia are as diverse as the country itself. 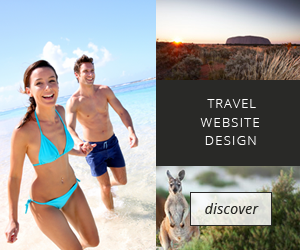 Most Australian travel guides and accommodation websites provide you with only the information that the marketing departments of the relevant resorts, hotels and tour operators want you to see. We believe that the most interesting aspects of a holiday are often the experiences you didn’t read about before you arrived. That’s why at Wiki Australia, the Australian travel guide – our visitors share their inside knowledge of Australian destinations they have visited. Through a collaborative environment, we intend to build up a reference of Australian destinations, accommodation and tours that reflects the experiences behind the experiences! Enjoy a distinctly Australian luxury experience, such as the unforgettable reefs, islands, beaches and coast; rugged mountain ranges, rainforests and vast national parks; vibrant food and wine producing regions; and endless outback horizons. Take a once in a lifetime adventure and discover the sheer indulgence of experiencing the wonders of Australia in style and total luxury. Capella Lodge, Lord HoweCapella Lodge offers a new luxurious way of enjoying the World Heritage beauty of Lord Howe Island. Lizard Island ResortLizard Island Resort have created an idyllic one of a kind retreat on the spectacular Great Barrier Reef. Southern Ocean Lodge21 luxury suites on Kangaroo Island featuring breathtaking views of the great Southern Ocean. Longitude 131°Longitude 131° is one of the best luxury wilderness camps in the world, with 5 star comfort and private views of Uluru. Palazzo VersaceThe luxurious Palazzo Versace on the Gold Coast encompasses beauty, indulgence and opulence. El QuestroEl Questro is one of the world's unique luxury destinations, set on a million acre cattle station in the Kimberley. Laid-back Australia has something for everyone: amazing museums, a vibrant arts scene, great beaches, cafes and restaurants serving any cuisine. 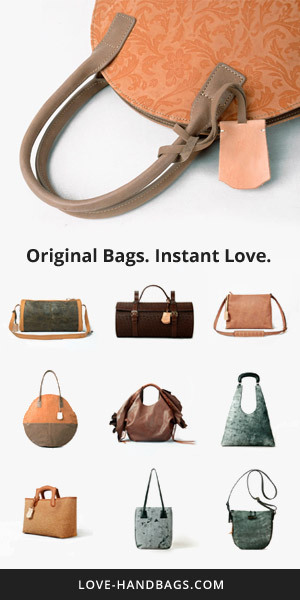 Heading to the cities, the outback, the mountains, the beach or the snow; Australia has a destination for you. Kakadu National Park Kakadu National Park, located at the top of Australia, features spectacular networks of billabongs and wetlands. Hunter Valley Wineries The lush and welcoming atmosphere of the famous Hunter Valley is a perfect place to sample great wines. Australia is well known for its great beaches, cities and great outback, but Australia is also a vibrant skiing destination with several ski fields in New Shouth Wales and Victoria. Thredbo Open all year with plenty of activities, Thredbo is the closest resort to Australia's highest mountain, Kosciuszko. Perisher Valley Perisher Valley is a ski resort village in the Snowy Mountains within the Kosciuszko National Park. Jindabyne Jindabyne overlooks Lake Jindabyne near the Snowy Mountains and is a popular holiday skiing destination. Around the coast of Australia there are many amazing islands that are an unforgetable pleasure for all who visit. Naturally, the Great Barrier Reef dominates any list of great Australian islands, with pristine wonders like the Whitsundays, Haggerstone Island, Dunk Island and Lizard Island. Further off the east coast is the spectacular Lord Howe Island and off the coast of South Australia is the unspoilt Kangaroo Island. See if you aggree with our selection of Australia's best island escapes. Whitsunday IslandThe Whitsundays – one of nature's most remarkable gifts, blessed with the breathtaking beauty of the Great Barrier Reef. Lord Howe IslandA tiny treasure rising out of the Pacific Ocean, Lord Howe Island is one of the world's last unspoiled Island destinations. 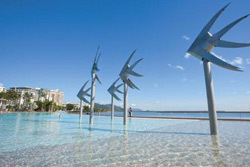 Cairns City is the primary gateway to Northern Australia and is the heart of Tropical North Queensland. Cairns looks like a picture perfect postcard, framed by the spectacular twin backdrops of rainforest mountain ranges and the sparkling Coral Sea. Cairns is an ideal base to explore the wider Tropical North Queensland region. There is a wide range of choice when it comes to finding hotels in Cairns, ranging from 5 star world class luxury to budget backpacker lodges. Discover the wonders of Cairns and its surrounding region. Ghan, Great Southern Railway The Ghan, a train journey of a lifetime with exciting land tour destinations, travelling through outback Australia. Australia's Best Golf Tours Experience a range of golf tours to some of the country's top golf courses for both Australian and international visitors. Australia's Best Sky Diving ToursWhether you choose to skydive in Sydney, Byron Bay, Mission Beach or Cairns, there's no better way to see Australia! Where Is Australia's Best Hot Air Ballooning? 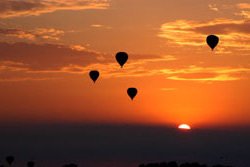 Australia is a great place to float in a hot air balloon and offers numerous venues to take to the skies. The experience of ballooning itself provides an unparalleled vantage point from which to witness some of the best scenery in the country. Experience the diversity of Australia from the air, fly over the lush green wineries of the Hunter Valley to the rugged desert scenery of the heart of the Australian Outback in Alice Springs. Walking tours in Australia are hugely popular with people looking to see the sights at their own pace and can be tailored to individual budgets and the amount of time available. But where are Australia's best walking tours? See our list of some of the best Australian walking tours. Chocolate Walking Tours Explore Sydney and Melbourne with special treats along the way, highlighting some of the best chocolate, coffee and dessert specialists. Australian Walking ToursGet some fresh air and a healthy dose of exercise seeing the lush and welcoming atmosphere of Australia's country-side, National Parks and beaches. City Walking Tours Experience architect-led strolls through the streets of Sydney or see Melbourne in a new light. Simply learn more while enjoying the walk. Discover Lord Howe Island , Australia's own Treasure Island just 600kms off the east cost of Australia.